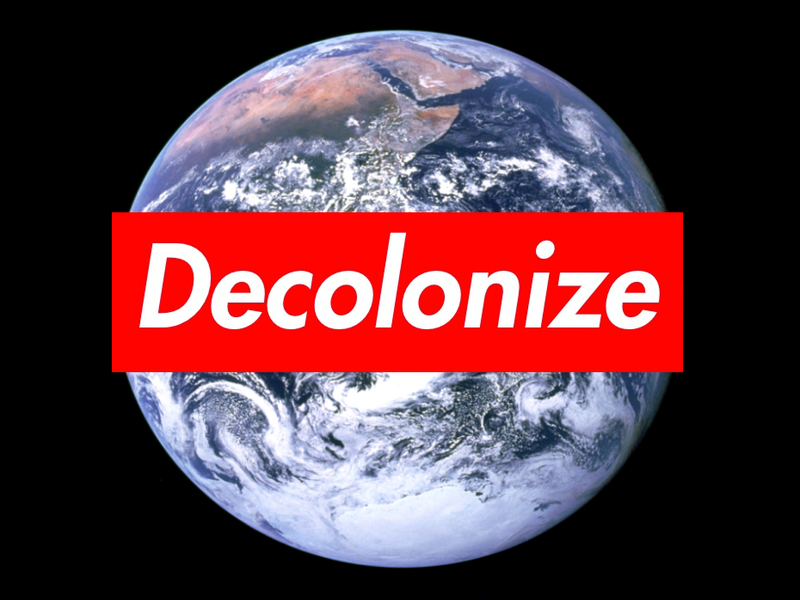 Colonization and decolonization are social processes even more than they are political processes. Governance over a people changes only after the people themselves have sufficiently changed. Here is presented the observations of Professor of Psychology and advocate for the integrity of native wisdoms, Virgilio Enriques, a native son of the Philippines, on the process of colonization. The contribution from Professor Enriques is taken from his discussions with the author in Wai`anae, Hawai`i in the mid 1990’s. Only portions of these discussions were recorded. Professor Enriques has since passed on. The author confesses to having repeated, expanded and expounded on this conversation over the years. The process of decolonization described here follows that of colonization. This process is based on the author=s observations of his individual Hawai`i experience and those of others as they move from one to the next phase, the broader societal experience on-going in Hawai`i as well as his understanding of the events which have and continue to take place in the Pacific region and the rest of the world. Step 1) Denial and Withdrawal: When a colonial people first come upon an indigenous people, the colonial strangers will immediately look upon the indigenous as a people without culture, no moral values, nothing of any social value to merit kind comment. Thus, the colonial people deny the very existence of a culture of any merit among the indigenous people. Indigenous people themselves, especially those who develop a closer relationship with the new-comers, gradually withdraw from their own cultural practices. Some may even join in the ridicule and the denial of the existence of culture among the native people. They may become quickly converted and later lead in the criticism of indigenous societies. Step 2) Destruction/Eradication: The colonists take bolder action in step 2, physically destroying and attempting to eradicate all physical representations of the symbols of indigenous cultures. This may include the burning of their art, their tablets, their god images, the destruction of their sacred sites, etc. At times, the indigenous people themselves may participate in this destruction – some may even lead in the destruction. Step 3) Denigration/Belittlement/Insult: As colonization takes a stronger hold, the new systems which are created within indigenous societies, such as churches, colonial style health delivery systems, and new legal institutions, will all join to denigrate, belittle, and insult any continuing practice of the indigenous culture. Churches will style indigenous religious practices as Adevil@ worship and condemn the practitioners to physical torture or their souls to hell. Colonially trained medical practitioners will refer to the indigenous doctors as witches if their medicine is successful and ignorant superstitious fools if their medicine fails. The new legal institutions will criminalize the traditional practices, fine the practitioners and may declare illegal the possession of traditionally sacred or healing materials. Here, even symbols of evil must be imported by the colonizer in order for evil to gain legitimacy within the society. Thus, we find in many colonized societies, the importation of Dracula, Halloween, or other representations of evil through the colonial societies literature or legends, all the while they allude to the Indigenous peoples representations of evil as more ignorant superstitions. Step 4) Surface Accommodation/Tokenism: In this stage of colonization, whatever remnants of culture have survived the onslaught of the earlier steps are given surface accommodation. They are tolerated as an exhibition of the colonial regime=s sense of leniency to the continuing ignorance of the natives. These practices are called folkloric, of Ashowing respect to the old folks and to tradition. @ They are given token regard. Step 5) Transformation/Exploitation: The traditional culture which simply refuses to die or go away is now transformed into the culture of the dominating colonial society. A Christian church may now use an indigenous person as a priest, permitting the priest to use the indigenous language, to incorporate some indigenous terms and practices, within the churches framework of worship. Indigenous art which has survived may gain in popularity and now forms the basis for economic exploitation. Indigenous symbols in print may decorate modern dress. Indigenous musical instruments may be incorporated into modern music. To support indigenous causes within the general colonial structure may become the popular political thing to do so the culture is further exploited. This exploitation may be committed by indigenous as well as non-indigenous peoples. I suggest five distinct phases of a people’s decolonization. These are: 1) Rediscovery and Recovery, 2) Mourning, 3) Dreaming, 4) Commitment, and 5) Action. Each phase can be experienced at the same time or in various combinations. Like the steps of colonization, these phases of decolonization do not have clear demarcations between each other. This phase sets the foundation for the eventual decolonization of the society. People who have undergone colonization are inevitably suffering from concepts of inferiority in relation to their historical cultural/social background. They live in a colonial society which is a constant and overwhelming reminder of the superiority of the colonial society over that of the underlying indigenous one. Many different causes may bring a person or a society to enter the stage of rediscovery and recovery. It may be curiosity, accident, desperation, escape, coincidence, or fate. As a volunteer member of the United States military, I came across a book, found at a military base library in Hawai`i, written by Queen Lili`uokalani, which started my entry into this phase of decolonization. Whether by accident or fate, I was curious enough to take it from the shelf and examine those words left by Hawai`i=s Queen about 55 years before, telling of the conspiracy and overthrow of the Hawaiian nation. Once coming upon these words, I could not let the matter alone. I had to take up my own study of my history I had never known before. I read and interviewed every source of information I could find on Hawai`i=s history and Hawaiian cultural foundations. The Hawaiian society has been in this phase since the late 1960’s as greater sensitivity for racial identity and pride as well as the growth of distrust for the government of the United States of America developed. The black struggle for equality in civil rights and the American Indian struggle for fundamental freedoms and recognition as the first people of the land, even the growing challenge to the righteousness of the U.S. war in Viet Nam played a major part in bringing home to Hawaii since the >60’s this recovery and rediscovery stage. Those challenges to the U.S. government and the operation of its society showed to us in Hawai`i that this great American society was not so great after all! Information of agents of the United States in the latter 1800’s conspiring with residents in Hawai`i, many of whom were American citizens, of American military spying all the while pretending to have no interest in grabbing Hawai`i, of the landing of U.S. troops and acting as the military support for a puppet government=s overthrow of the Hawaiian nation, began to appear in Hawai`i. The disbelief and yet the complete inability to overcome the information stunned the general society. This is reflected in an interruption by Circuit Court Judge John Lanham in the first criminal case in modern time challenging the court=s jurisdiction over a Hawaiian citizen. While the defense counsel read from the U.S. Congressional Record President Cleveland=s message to the U.S. Congress confessing to a litany of aggressive acts, the judge said this was the most fantastic story he had ever heard, yet he could not deny the events having happened, especially when these are words taken out of the Congressional record, coming from the President of the United States. Lanham was no neophyte to Hawai`i, having married a native Hawaiian woman, served in the State legislature for many years, and at the time, sitting as a judge in the State Circuit Court. This phase has continued, not only in the historical and political awareness of the U.S. armed invasion and overthrow of the Hawaiian nation. New vigor in Hawaiian music and literature, both traditional and modern, added substantially to this recovery. Social and political activities took on new momentum. Hawaiians were now willing to stand up against members of Hawai`i=s Supreme Court in their appointment of trustees to the Bishop Estate Trust, a non-profit entity designed to educate native Hawaiian students, with extensive assets of land throughout Hawai`i. There were new challenges to evictions of native Hawaiians from beaches and valleys and challenges to the abuse of the island of Kaho<olawe as a U.S. military bombing range. As this platform of discontent and awareness began to build, a plethora of new organizations emerged, pushing to the forefront the illegality of the overthrow of Hawaii. This phase of rediscovery and recovery has not ended. Many people are still “getting up to speed”, not knowing much of the details, but generally acquiescing to the overall theme of a grand illegality having occurred in Hawaii 100 years ago – the theft of the Hawaiian nation. This phase of rediscovery of one=s history and recovery of one=s culture, language, identity, etc. is fundamental to the movement for decolonization. It forms the basis for the further steps to follow. One of the dangers in this phase is the elevation of form over substance, of dealing with a traditional culture from the perspective of a foreign culture. Indigenous people themselves can abuse their own culture, especially when they have been so long and completely separated from the practice or appreciation of their traditional culture that they now see and treat this culture from the perspective of the foreign one. This danger may include those who have taken on the trappings of their “traditional” culture, wearing forests of leaves and flowers on their heads, speaking the indigenous language which they learned at colonial colleges, and otherwise playing the foreigner’s concept of the indigenous person. Theatrics which make good media clips could eventually be mistaken for substance. The difference, therefore, between the final stage of colonization – exploitation, and the initial stage of decolonization – rediscovery & recovery, must be carefully distinguished. Caution must be taken in letting media select for the colonized people the leadership or the identification of their cultural root. A natural outgrowth of the first phase is the mourning – a time when a people are able to lament their victimization. This is an essential phase of healing. Even in individual tragedies where one is a victim of some crime, has experienced death of a close loved one, suffered from a sexual assault, the victim must be permitted a time of mourning. As a young member of the U.S. military, plodding through the mounds of history and recovering from a loss of native identity, I experienced great anger, wanting to blow-up the colonial system, take up arms to drive that very same military out of my native home. Others have expressed themselves in very similar ways, finding that they had been lied to for so many years while in the Aeducational@ systems in Hawai`i. Their anger and frustration have ranged from flying chairs across a room to roaming streets wanting to beat Americans, to contemplating para-military action. In Hawai<i, the symbolic mourning of the loss of the Hawaiian nation has taken place in the centennial observation of the overthrow at <Iolani Palace in the gathering of over 10,000 people. The observations over the week-end of January 16 and 17, 1993 in which people came from all parts of Hawai<i and returned from parts of the world served as a focal point for mourning of most of those touched in one or another way by the overthrow. Many more remained at home but were tied to their radios, televisions or newspapers as reports were made of the Palace events. It is difficult to generalize how long a people remain in the mourning phase. Like individual responses to tragedies, societal mourning depends on the circumstances. Perhaps, when there does not seem to be any alternative to the present condition, the mourning seems to be the only thing to do. Thus, an extended period of mourning may be experienced. The mourning stage can also accelerate the earlier stage of rediscovery and recovery. People in mourning often immerse themselves totally in the rediscovery of their history making for an interesting interplay between these two phases, both feeding upon one another. This phase may also be expressed in great anger and a lashing out at all symbols of the colonizer. A sense of justified violence, either in words or action, can lull some into remaining in this phase, milking every advantage of the innocence of one’s victimization. This abuse of the mourning phase can turn into an attempt to entrench the colonization in order to continue the mourning, the anger, the hating and the division of people. Some people are happy to go no further than the mourning, finding sufficient satisfaction in long term grumbling. People can get “stuck in the awfulizing” of their victim-hood. Some build a career upon it. This phase is the most crucial for decolonization. Here is where the full panorama of possibilities are expressed, considered through debate, consultation, and building dreams on further dreams which eventually becomes the flooring for the creation of a new social order. It is during this phase where people colonized are able to explore their own cultures, their own aspirations for their future, considering their own structures of government and social order which encompass and expresses their hopes. So crucial is this phase that it must be allowed to run its full course. If the dreaming is cut short by any action plan or program designed to create a remedy meeting the perception of the issue at a premature stage, the result can prove disastrous. I liken this phase to the formation of a fetus in a mother’s womb. That fetus must be allowed its time to develop and grow to its full potential. To attempt to rush the process, bringing baby out earlier than its natural time, could prove dangerous if not disastrous. In Hawai<i, the dreaming is now vibrant. One on-going process is called the Native Hawaiian Convention, where delegates elected only by native Hawaiians, are convening to review all aspects of self-determination and will make recommendations to the native Hawaiian population. This convention will explore the full range of choices from remaining integrated within the United States of America to complete independence from the United States. Other organizations are also attempting to address the self-determination question as well. Some have gone so far as to declare themselves the government pro tem pending success in achieving international recognition as an independent nation. Others are gathering and forming coalitions to promote continuing discussion on Hawai`i=s future. Still others are dedicated to remaining part of the United States but having the indigenous people given formal recognition and equivalent treatment as many American Indian tribes, a nation within a nation approach. b) International legal principles which apply to the Hawai<i case, in particular, the principles of decolonization, indigenous peoples’ rights, and ocean governance seen from new economic, environmental and political world arrangement perspectives. c) Review of other cases in which people have exercised self-determination, both as indigenous people’s movements and as broader movements of decolonization. d) Identification and description of various models of nationhood. e) Methods and processes by which non-indigenous concerns and contributions can be incorporated into the overall study of Hawaiian sovereignty. Hawai<i however, continues to face the threat of rushing the dreaming. Now that the topic of Hawaiian Sovereignty has “caught on” as one of the foremost political issues of the day, many are demanding immediate action, with a belief that reflection and introspection are not worth the time and effort in the development of a new social order. Those expressing impatience and even ridicule over the dreaming process often call for very short-sighted goals, measured generally by materialistic gains. Thus, there is an immediate call for lands, dollars and a “sovereign” nation whose jurisdiction and powers are fully within the United States Congress or Supreme Court. Long term planning for the future of Hawai<i in relation to the Pacific and the world is not included in such plans for an immediate remedy. In the process of dreaming, the people will have the opportunity to weigh the voices rather than becoming caught up with counting votes or bullets. They will be able to wade through the cult of personalities, family histories, and release themselves from shackles of colonial patriotism. They will now be ready for commitment to a single direction in which the society must move. This phase will culminate in people combining their voices in a clear statement of their desired direction. There is no single “way” or process for a people’s expression of the commitment. In fact, over time, the commitment will become so clear that a formal process merely becomes a pro forma expression of the people’s will. It can be difficult to distinguish between an early termination of the dreaming phase from the start of the commitment phase. In Hawai<i, we hear the call for a Hawaiian convention to create a founding document of the Hawaiian nation. In several corners of the society, this call is being made by bodies that include the Hawai<i legislature, semi-autonomous organizations such as the Office of Hawaiian Affairs, and even the umbrella organization supporting Hawaiian sovereignty education, Hui Na<auao. All such calls for a process must be carefully scrutinized and questioned as to whether these calls are consistent with the desire to allow the full process of decolonization to take place or to cut the dreaming short and force a premature resolution of historical injustices, thus limiting the losses of those whose interests are threatened in the decolonization process. In recent years, the Hawai`i legislature and the Office of Hawaiian Affairs put up funds to conduct a vote among Native Hawaiians on whether or not to elect delegates to a Native Hawaiian Convention to propose a form of Hawaiian governance. Suspicion was raised over the fact that funding for this process came from the State of Hawai`i and that the process was therefore tainted and not truly a self-determining process contemplated in international law. The international policies well established by the United Nations, however, does call for governments to provide necessary resources to assist the people in their exercise of self-determination. The vote was taken in which any person over the age of 18, irrespective of their residence, regardless of whether incarcerated or under other civil disabilities, were permitted to participate. Among native Hawaiians throughout the world, 22,294 voted yes and 8,129, no, a 73% response in favor of electing delegates to a convention. A second step was taken in January 1999 electing such delegates to a Native Hawaiian Convention. That convention is now proceeding. Several organizations claim they individually represent the Hawaiian Nation. They have gone forward and formed their Anational@ organizational structure, put in place their national leaders, and now proceed to speak for the nation. They try to be Afirst@ in the action phase. Such elitists substitutes for a quick solutions for the decolonization process deprives the people a participatory role in the formation of their own social order. This phase can be properly taken only upon a consensus of commitment reached in the 4th phase. Otherwise, the action taken can not truly be said to be the choice of the people colonized. But the reality of many situations does not allow for such a methodical, patient, time consuming process of the four earlier phases. When a people are under physical attack, when a people are finding their children torn from their homes for reeducation in colonial societies, when people are being removed from their traditional lands in droves, action may be called for prior to the society=s completion of the dreaming phase. But that kind of responsive action to colonization=s onslaught is not the action spoken of here. The responsive action is one for survival. The action called for in the 5th phase of decolonization is not a reactive but a pro-active step taken upon the consensus of the people. Not only have the methods of executing upon these commitment changed, but the arenas of contests are now not as geographically defined as before. To speak before a national congress or an appropriate body of the United Nations may be far more effective than to storm a mountain top within one=s homeland in an armed battle. Presented here are very specific propositions for the processes of colonization and decolonization based upon two indigenous persons= observations from their own colonial and decolonizing experiences. These steps or phases are presented here as distinct from one another, in a very clear sequence. Yet, the reality of colonization and decolonization is not so clear. For illustration purposes, these steps are presented in a sequence. In practice, we oftentimes see combinations of these social changes. We see them occur in individuals at different times as they do in the general society – some individuals far ahead or behind in the process. The process of decolonization, for example, has actually begun in Hawai`i, where the general society has now gone through several years of the phase of recovery and rediscovery. In 1978, during the first criminal trial in which a Native Hawaiian defendant refused to dignify the court by entering a plea of guilty or not guilty to the government=s charges, and challenged the court=s jurisdiction to sit in judgment over Hawaiian nationals, the general Hawaiian public and the specific Native Hawaiian population would have numbers under 1% who understood his claim or cause. Twenty years later, the subject of Hawaiian sovereignty is on the agenda of almost every politician because the vast majority of Native Hawaiians and the general public supports some form of Hawaiian sovereignty. Even in the face of all of this, we can still find individuals who remain in denial, pretending that there was no illegality in the overthrow of the Hawaiian nation, and refusing to accept the general societies recovery and rediscovery. Nor are these phases of decolonization, once passed through, never to be revisited again. As one goes through the phase of recovery and rediscovery, then the mourning, next the dreaming, it is at times helpful or even necessary to return to recovery and rediscovery to aid in the dreaming. For example, in Hawai`i, as the society engages the dreaming by discussing the future of the Hawaiian nation, the question of who should make up the Hawaiian nation arises. The answer to this question lies partially in the exploration of Hawai`i=s history and culture, discovering the make-up of the earlier Hawaiian nationals and the cultural principles upon which those earlier national questions were answered. The process of colonization and of decolonization deserves closer consideration in attempting to refashion societies. Otherwise, we may find we are merely entrenching ourselves deeper in the systems, values and controls put here by the colonizer.